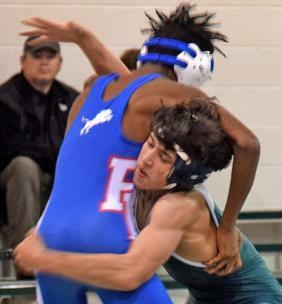 Notre Dame’s Bob Deitch holds onto the waist of Red Bank’s Malikhi Johnson at 106. 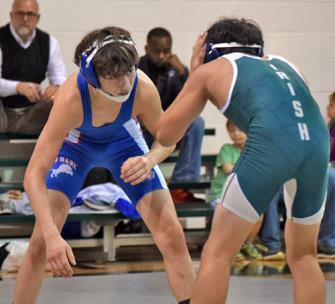 Red Bank’s Kyle Harper faces Josh Deitch at 113. 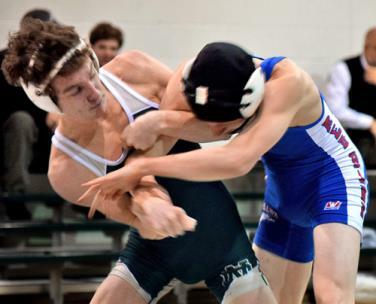 Notre Dame’s Cade Holloway moves against Christopher Cagle at 120. 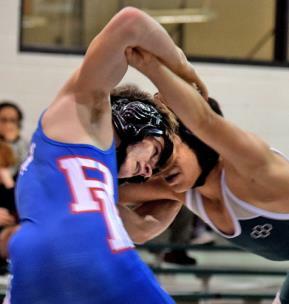 Red Bank’s Aidan Maharrey grapples with Notre Dame’s Fran Palacio at 132. Notre Dame’s Jalen Hagood lifts Alex Cagle at 152. 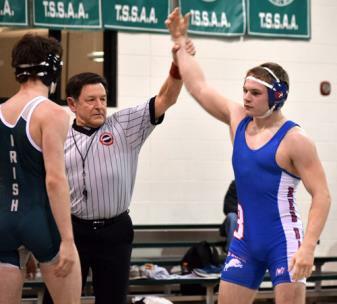 Caden Cline of Red Bank gets the pin against Alex Parvin at 160. 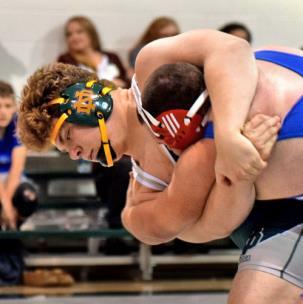 Notre Dame’s Jacob Brigman controls Cole Stevens at 285. 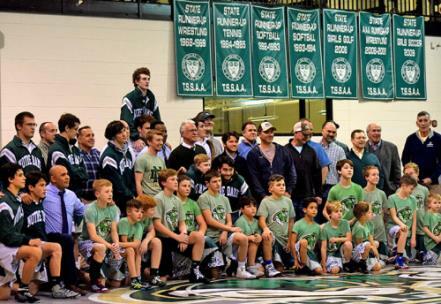 Irish wrestlers past, present and future gather for a reunion before the match. 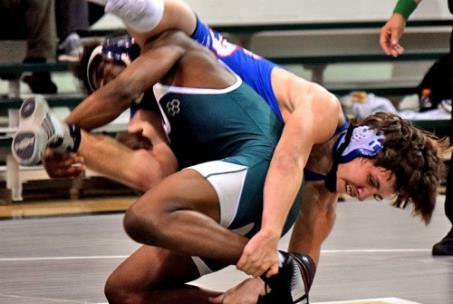 Notre Dame's forfeits allowed Red Bank's wrestlers to win 36-34 Thursday.